To synthesise (fuse) is the theme. Who is it for? Those with an interest in the joy that is movement, those who enjoy practicing within a group, those new to tribal fusion and those with experience looking to refine technique. Anyone looking for inspiration and encouragement in establishing a consistent home practice. The course is geared towards introductory and improver levels, some previous dance or movement experience is recommended. If unsure contact Samantha to discuss. This training combines disciplines that enhance body awareness, body positivity, health, strength, balance and wellness through movement. Influenced by multiple dance styles including classical, contemporary and tribal fusion belly dance. Tribal fusion technique is the focus with sequences included to put the drills to practice. All designed to enhance your dance skill set. We will also use floor barre, yoga and Pilates sequences, tailor made for you to take home. Interval exercises will be practiced for cardio health. Therapeutic exercises are included to alleviate tension in common problem areas. Listen to your body, move with ease and find freedom in the subtle nuances, inner rhythm and flow. Both weekends are connected. You will have the opportunity to go away practice homework tasks, then return to further develop your dance, receiving feedback from Samantha. Practice progressions to inspire you on your dance journey will be added during the second weekend. It is not obligatory to register for both weekends but it is recommended! 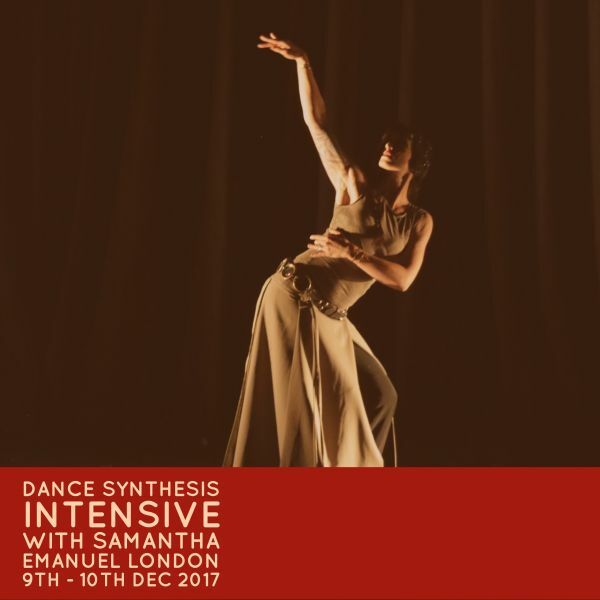 Dance Synthesis provides a unique opportunity to work in-depth, over 20 hours of exploration in a supportive environment, drawing on Samantha’s experience over 13 years of movement research and performance. The first weekend is a technique based intensive weekend. Each day will focus on basic anatomy, Pilates, floor barre, mindfulness practice, interval training, stretching, dance movement technique and drills. Handouts are provided to help you build and sustain your personal practice at home. The second weekend is a continuation of the work, adding layers and drills to refine movement, traveling and dance movement sequences as practical application of the technique plus muscle release exercises. Group numbers are limited to below 20 dancers. Please bring food with you as there won’t be time to leave the studio during break) Please arrive on time and please bring a yoga mat!